Pinkman - KonceptXIX 50ml Perfect if you're looking for a one of a kind fruity taste sensation. A true mouth-watering fruit explosion that your taste buds have been waiting for! The KonceptXIX range is an 80 VG / 20 PG mix E-Liquid. 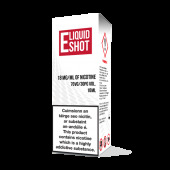 It is also 50ml of Nic shot ready Liquid in a 60ml bottle.